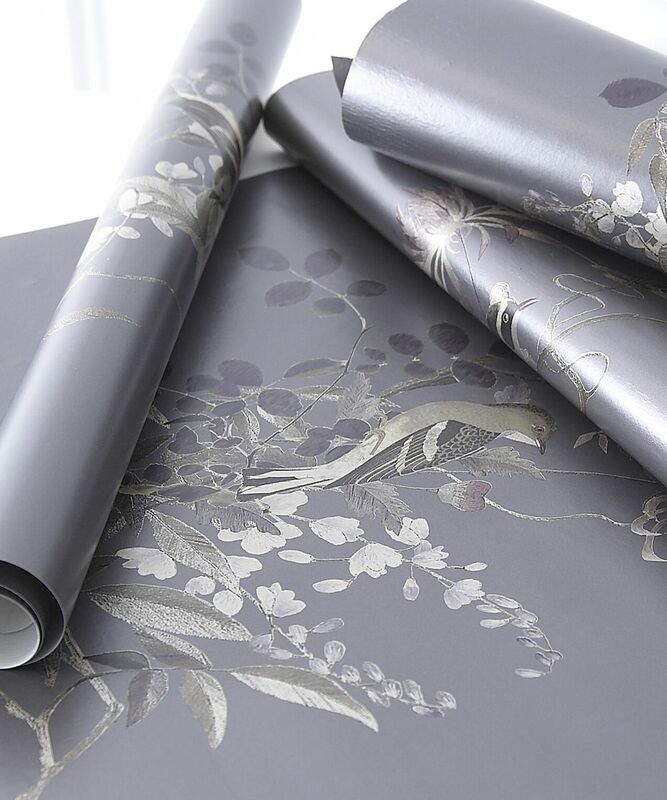 Our new Jardin des Oiseaux (Bird Garden for those who didn't pay attention in French class) wallpaper in Gilver Gray, has a soft metallic sheen is adorned with birds perched in wisteria and rose leaf branches interspersed with flowing flowers. 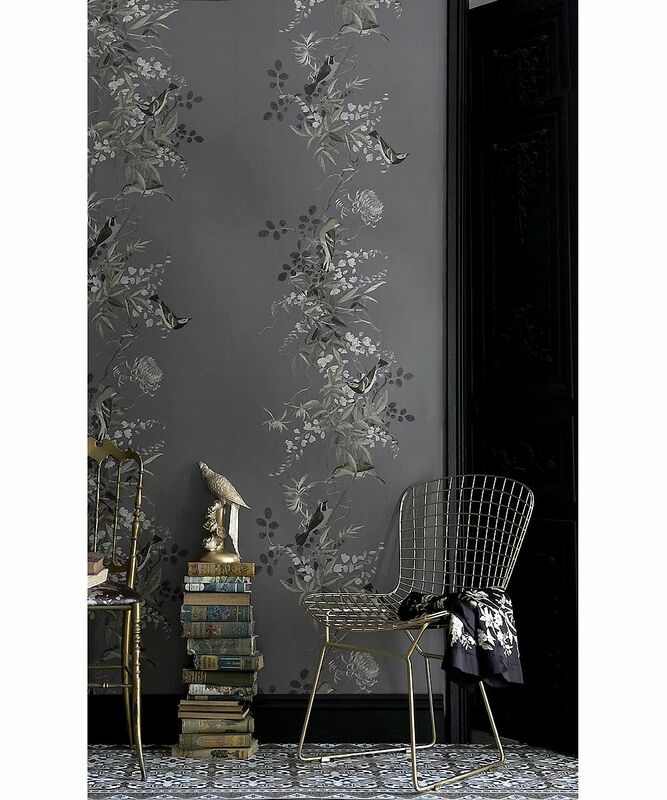 Its elements are a mixture of collaged images of beautiful flowers and foliage from an antique Chinese embroidered silk panel, painted leaves and hand drawn birds. You save £25.00 that's 20% off!